Enjoy an affordable and unforgettable experience with our family-oriented 1 1/2-hour dolphin cruises aboard the Southern Belle. It is an exciting and educational way to experience the natural beauty of Alabama’s Gulf Coast. 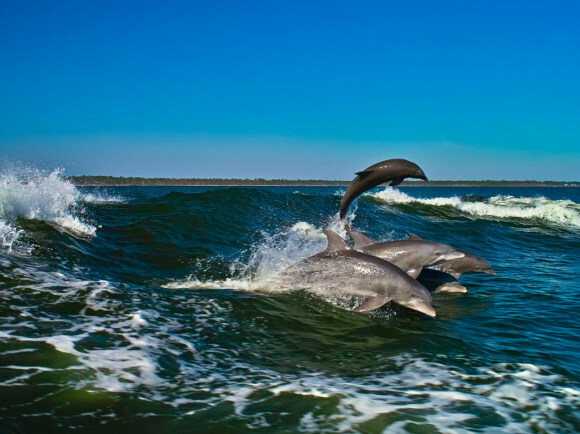 View and learn about dolphins, seabirds, stingrays, sea turtles, and a variety of other marine life. Our spacious and comfortable 65-foot boat is equipped with two full size bathrooms, and offers a smooth and relaxing ride along with a fully-equipped snack bar serving alcoholic beverages, soft drinks and snacks.